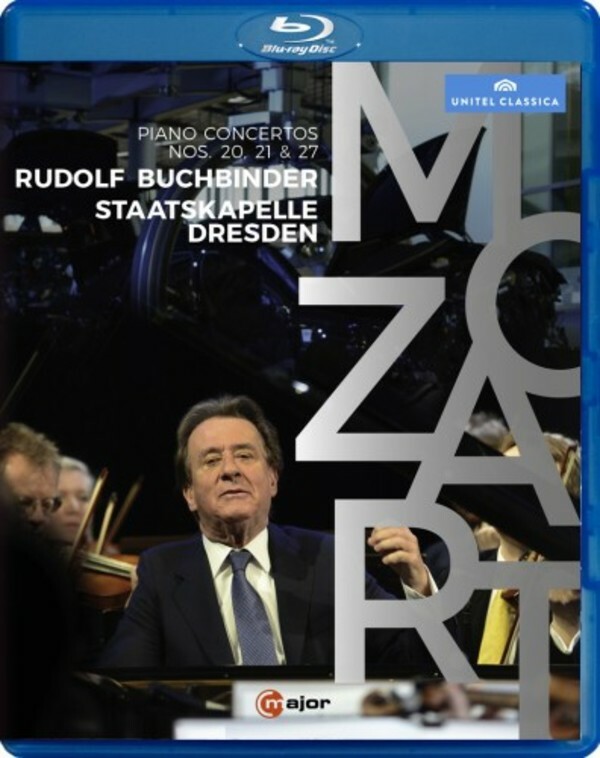 Austrian pianist Rudolf Buchbinder is world-renowned as an interpreter of Mozart. Here he plays and conducts from the keyboard three of Mozart�s most popular piano concertos; the orchestra is the Staatskapelle Dresden, where Buchbinder was the first artist to hold the title of �Capell-Virtuos�. Ahead of an extensive tour to Germany, Europe and Asia, the concert was recorded in Dresden in an unique setting, being the first ultra-high definition recording of this work - especially for this purpose a stage was set up right inside the �Gl�serne Manufaktur�, a luxury car-manufacturing plant in the heart of the city. BONUS: Making of � A 4K production at Volkswagen�s �Die Gl�serne Manufaktur�.